Mahaffey Event and Tent Rentals, a privately owned company, recently celebrated over 90 successful years serving local and Mid-South area clients. Our history is interesting, and we are extremely proud of it! Way back in 1924, brothers Owen, Gene and Earl Mahaffey started out making canvas tarpaulins, awnings and cotton pick sacks. When a request came in 1929 to make a tent, they obliged, only to have their client fail to pick it up. It remained unused until they received a call from the Tri-State Fair (now known as the Mid-South Fair). That call resulted in their first tent rental and the next phase of the business was formed. In World War II, tent rentals were forgotten as the army contracted the job of making hospital ward tents and ammunition bags to Mahaffey. They shipped a boxcar of tents each week. That remained the sole job of the company for the duration of the war. 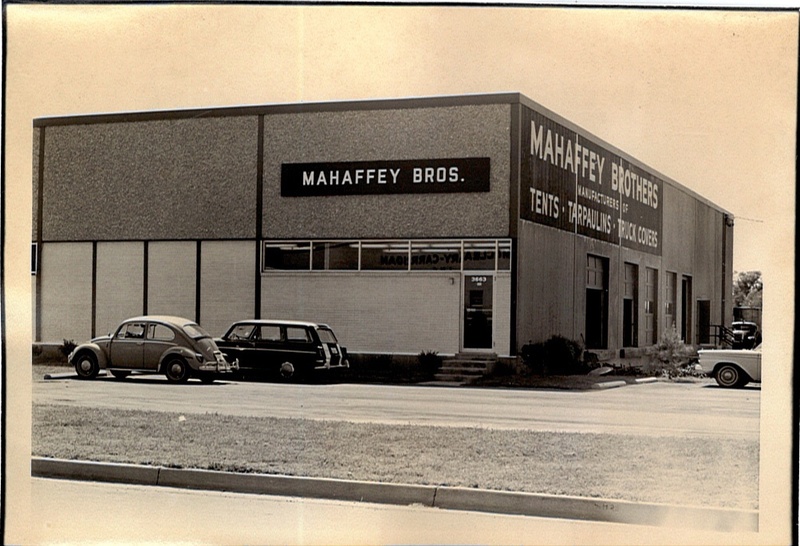 In 1972, William F. Pretsch purchased the company from the Mahaffey family when the owner Eldred ‘Red’ Mahaffey died in a private airplane accident. Pretsch immediately saw the benefits of the new clear span structures he had seen in Europe and was the first to introduce them to the American market in 1982. Their popularity was immediate and the company now rents everything from pole tents to frame tents to clearspan structures to just about any party accessory you can think of. There was a transfer from one generation to the next as William J. Pretsch and George Smith purchased the company from Bill in 2011.